The German Shepherd Dog 110yrs Later ! 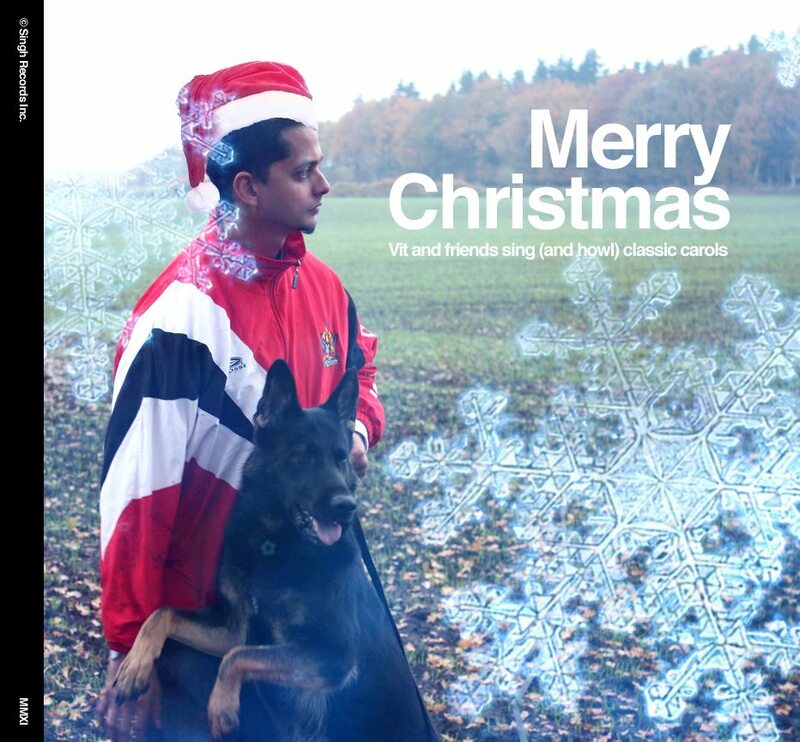 A Book and DVD in the making by: Vit Singh-the first Trinidadian to compete in the WUSV World Championship who has compiled interviews with over 35 Legendary Personalities in the Show, Working, Herding, Police and Competition World. We had a great time and really got to see a nice selection of top handlers and dogs in the Sotheast region. Akira did really well and got High IPO 3 with 97-96-90 in the open trial. Yes you read that right, since we are now qualified for multiple events nationally and internationally, Akira was mated to Gonso. Gonso is one of the last sons of World Champion Asko von der Lutter and is a grandson of Janko Vorwerkswald which brings alot of balance to his pedigree. He is a very hard and dominant male and will make a linebreeding of 4-4 on famous dogs like Tim von der Abfuhr and Yoschy von der Döllenwiese when paired with Akira. We expect puppies in mid to end of April. We hope to have nice black and tan and solid black puppies that will be well suited as service, sport and companion animals. A couple weeks back we were fortunate to take part in the Florida Working Dog Association's IPO Trial in Gainsville Florida. Akira got High in Trial and we were extra proud of our partner Sandy and her dog Hannah who earned their IPO 1. Thanks to Mike Rivers and his group of Working dog Sportmen and women. It was a really well hosted event complete with Burgers and hot dogs at the end :) The whole event was well executed and the atmosphere was very encouraging. What made this one even more special is that the judge Ivan Balabanov was judging his first US Trial. As you know I have been an avid follower of Ivan's system of training especially in Obedience. To have the opportunity for him to give an official Judge's critique was really something special. Ivan was very clear and helpful in his critiques and made everyone who did their trial feel comfortable and at ease. To have a Judge who has achieved so much as a competitor give the feedback like he did was very helpful. Check out the video's below of Akira's High in Trial Obedience with 95 points and Protection 87 points. We are looking to trial again on Dec 8th & 9th in Florida again. So after many dealings with Government offices, I am almost back to normal after losing my Passport. :)) But in the meantime I got a chance to come to Trinidad and work out at the German Shepherd Breed Club of T&T and do some training here. This week I will be conducting some workshops on Obedience and Protection training so members can see where training exercises will lead into the final routine. It's the idea of training with the end in mind. AKIRA & I in Slovenia !! LATER THIS MONTH I WILL LET YOU IN ON A SURPRISE ANNOUNCEMENT CONCERNING THE INTERVIEWS PROJECT. the focus of the animal is of a high standard, and it might be worth mentioning the training involved to get to this standard. I am unsure if this DVD forms a series, if it is not I feel it should be. The progression of both dog work and handler skills (UDT) would be well sought after as both on aid and conducting training. We all know that the landscape of law enforcement today is vastly more complex than that of even a decade ago. The old model for K9 and Defensive Tactics training followed the ‘one size fits all’ approach; and two or three decades back, there were few viable alternatives. Nowadays though, ignorance is no longer a plausible excuse and it is expected that professionals keep abreast with best practice in all areas of training – including K9 / Defensive Tactics. There are two parts to the problem. 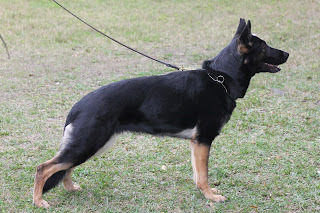 The first being that most large Law Enforcement agencies are simply overwhelmed with operational duties, administrative considerations and the like, that they simply do not have either the time or the resources to be keeping abreast with changes in K9 Defensive Tactics training models – most of which are taking place at an accelerated rate within the private sector. 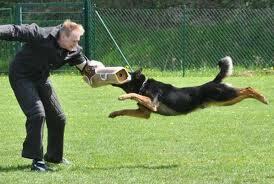 The end result of this is that the K9 / Defensive Tactics training models in use tend to be decades ‘behind the times’. The second part of the problem is that operational needs vary greatly from agency to agency and from group to group within those agencies. The idea of one all-encompassing K9 / Defensive Tactics training package that will fulfil everyone’s needs – is simply a myth. In as far as it is practicable to do so, everyone should be trained in a Core Competencies K9 / Defensive Tactics package that reflects absolute best practice by today’s standards. The emphasis here should be placed on DEFENCE – with the primary goal being to maximize survival opportunities and safety for the operator. Most Law Enforcement agencies are decades behind the private sector in this area. Operators remain at greater risk than at any other time in history. I believe Vithala Singh’s address the above issues. Thanks to everyone so far who have taken the time to review this DVD and make it available to the men and women on the front lines with their K9's ! For more about the DVD go HERE! A couple years back in Germany at dinner with Koos Hassing, I met Kris Kotsopoulos and even though we did not exchange information, something told me we would meet again. Kris is very methodical and deliberate in his speech. He has spent decades travelling the world acquiring and practising some of the most cutting edge techniques in dog training and behaviour modification. Skip to the present, I found Kris as a local luminary in the GSD world in Australia. Apart from his competency as an Instructor and trainer, Kris is also a very dedicated Breeder in Australia of Working dogs- Dobermans and German Shepherds. In fact he even has coveted Genetic Material from some of the greats ! Take a look at the video below of real uncut footage of Gento vom Haus Larwin in Germany!! Achieve 100 points in tracking? Learn how to plan and lay a track for success? Eliminate the possibility of your dog missing articles? Learn how to lay, introduce and teach corners? Slow your dog down without destroying motivation? Integrate clicker and remote trainer during tracking? Understand your dog’s olfactory ability? 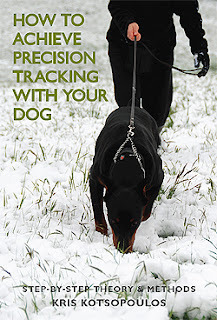 Proof your dog for tracking reliability? Just a quick message to say Merry Christmas. I hope that you all have a wonderful time with your loved ones. If you are fortunate to be in their company celebrate, if not then hold the memories of wonderful times past, dearly in your heart. 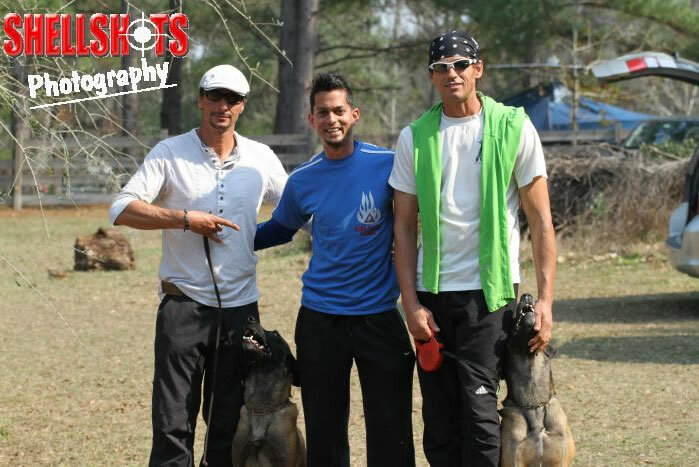 This year was a good one for El Dorado Kennel, Akira and myself. Out A litter is doing very well, with some updates I will soon share. Also, Akira and I were fortunate to make the grade for Next year's bigger competitions - the Universal Sieger Show in Slovenia in June , and of course the WUSV in October in Austria. We hope to better our scores in a trial early in 2012. Also, I am about to announce some more cool additions to our journey, and I am sure it will be as exciting for you as we continue on our journey in the Sport Dog World. Check out a little video I put together of me and Akira getting some coaching from Ivan Balabanov. For more on Ivan check out his training videos. We had a great time and learned alot as always. Looking forward to great results in the upcoming trial. 'German Shepherd Dog Refelctions' a compilation of Interviews with some of the most Legendary breeders in the Show Lines, Working Lines and Sport, Police and Herding as well. Looking forward to your feedback as this project is getting closer to completion. Eric Wight (GB) with Glen vom Hexenkeller from IPO.nu on Vimeo. We wish Christopher best of luck, and although I could not join him, I hope all his hard work pays off and that he gets a great score in the competition. Joseph Donald Tackett, 73, of Dayton passed away on Fri., May13, 2011 at Odyssey Hospice in Houston. Joe was preceded in death by his wife, Victoria Tackett in 2009. Joe was best known for his great training of German Shepherd's for over 60 years and a Master Judge for that breed. 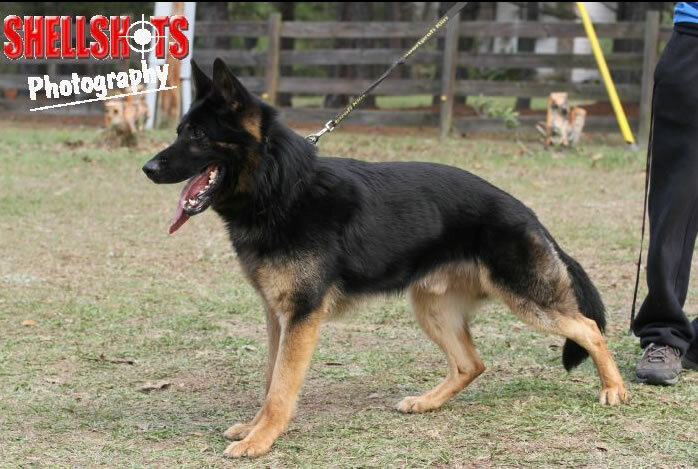 He was one of the early founders of the United States Schutzhund Club. He was the founder of the Good Shepherd German Shepherd Club of Dayton. 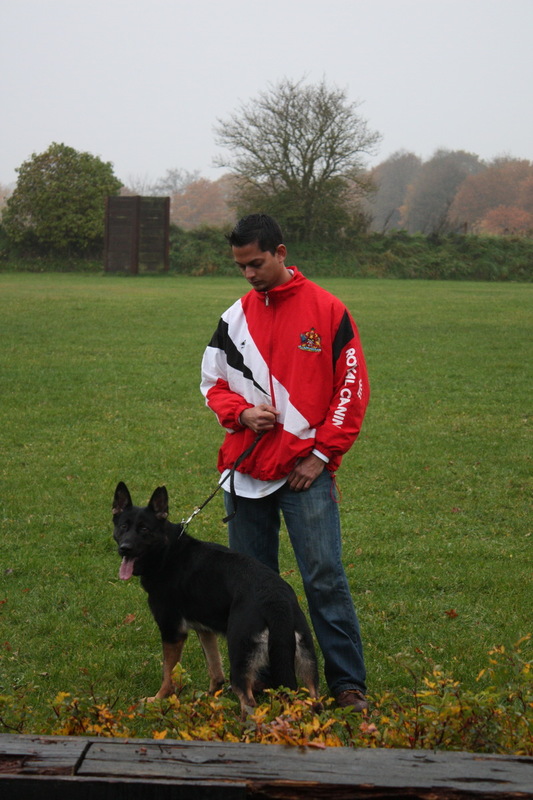 Last Year Joe judged the Trial in Trinidad under the German Shepherd Breed Club and Akira was awarded her Schutzhund 2 title. Joe was knowledgeable and very gracious when imparting his experience. He will be missed. Joe Tacket with Allan Mitchell at my home as we marked the first time a Schutzhund Trial was conducted in Trinidad using 2 Local Helpers!! I am a founding Member of the German Shepherd Breed Club in Trinidad and Tobago, West Indies. Along with my collegues , Christopher Seeyave - Royal Canin Distributor, and Fredrick Garbo- Teammate, we have tried to bring the GSD as a harmoniuos working breed with correct anatomy in accordance with the Breed Standard. After many years of trying, 2009 marked the first year a team could be sent to the WUSV and I am proud to have been on it. The idea for a Book was first for because of my own research. Then I realised I could try to acquire the opinions and stories from the Legends in the breed in as many aspects e.g. Show, Working, Breeding, Sport, Police, and Herding.